Artiez is an online Art Gallery and Studio based in Dubai, UAE that showcases artworks of budding artists as well as artists with repute. Dubai is emerging as a hub of Modern Art where various Contemporary Artist from across the globe aspire to exhibit. 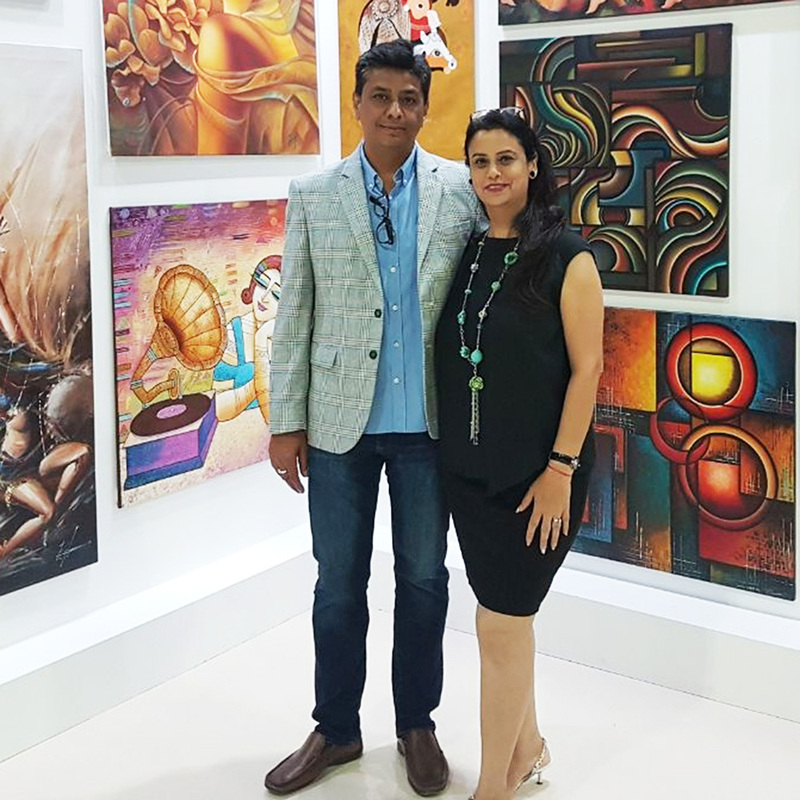 Brainchild of wife and husband team, Arti and Vikas Wadhawan, we at Artiez strive to seamlessly merge the power of creativity with technology to create a simple and easy to access platform that brings artist’s closer to the buyers of their creations. We make it simple for an "Artist" to display and sell their artwork to art lovers, patrons and buyers. Just click on “Artist Connect” link in the menu section and follow simple steps or write to us at art@artiez.me. Curators from our team will get in touch with you to make you part of the Artiez family. Our curators are driven by passion for art. They handpick artworks in various categories: Abstract, Cityscape, Landscape, Spiritual, Digital, Calligraphy, Still Life, Figurative Art and more. We showcase Art to suit all budgets and deliver it to your doorstep. Our free art consultant service offers a blank canvas to help you make a selection that suits not just your space but also your personality. Just share your vision with us, be it helping you to select the right artwork for your Home Interiors, Office Interiors, Hotel Interiors, Commissioned Art or made to order Portrait Paintings. Our experts will bring your dream artwork to life. Follow Artiez Art on Facebook, Instagram, Twitter and Pintrest or write to us art@artiez.me or contact us +971 55 684 6000 for any questions or feedback and help us make art selling and buying experience the best that it can be. Keep smiling!! !